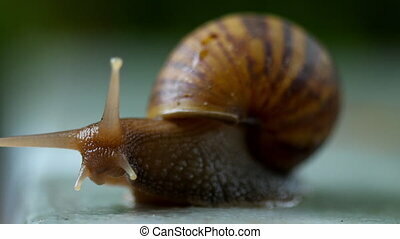 Garden snail crawling, macro. 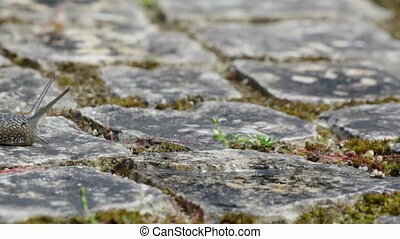 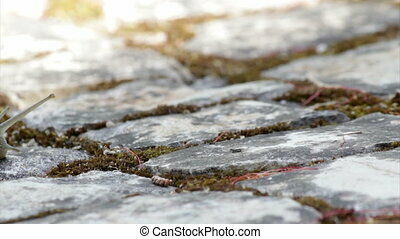 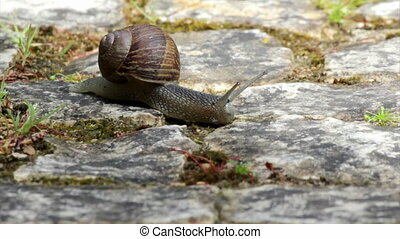 Snail gliding on the wet stone. 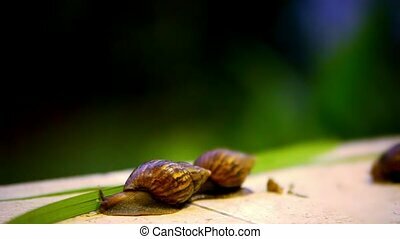 large white mollusk snails with light brown striped shell. 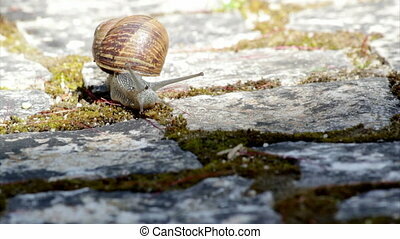 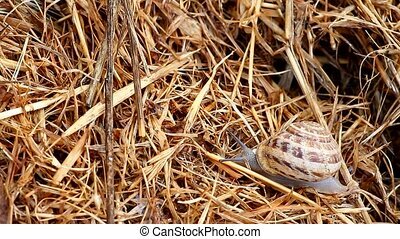 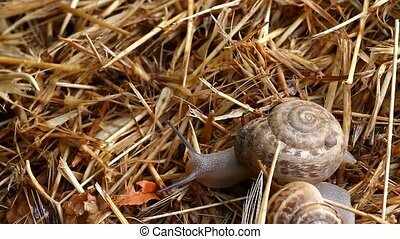 Active garden snail crawling (Species: Helix aspersa or Cornu aspersum). 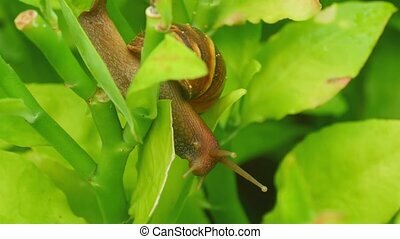 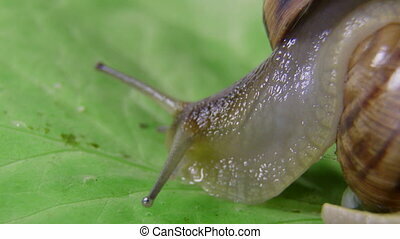 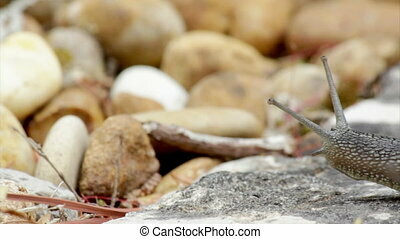 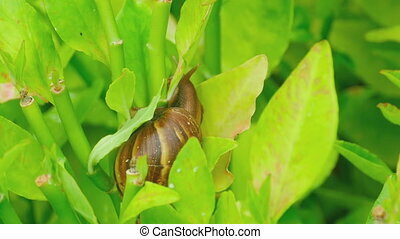 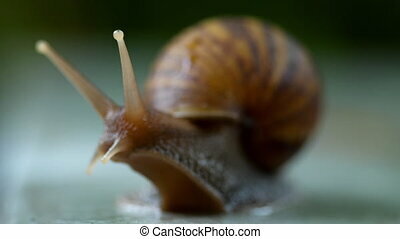 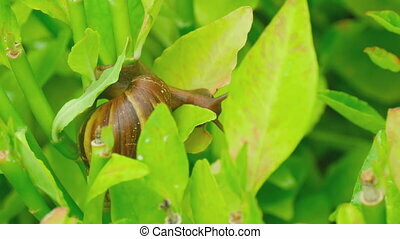 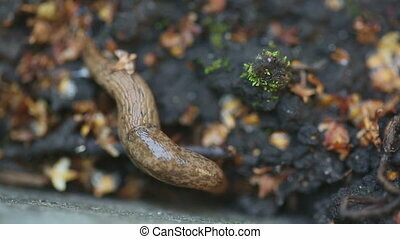 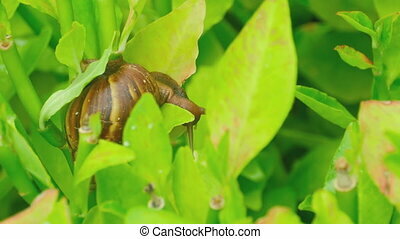 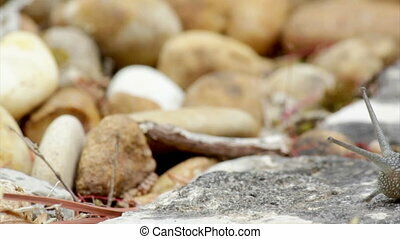 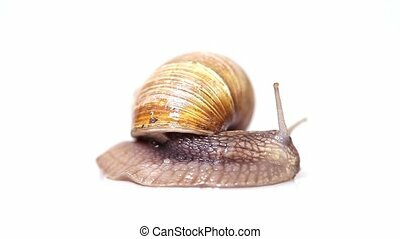 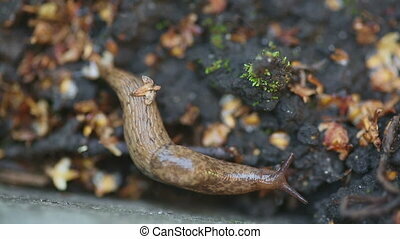 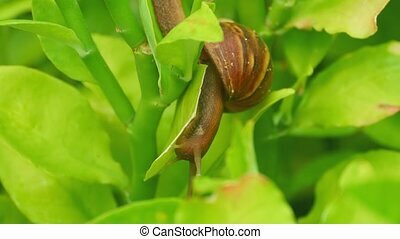 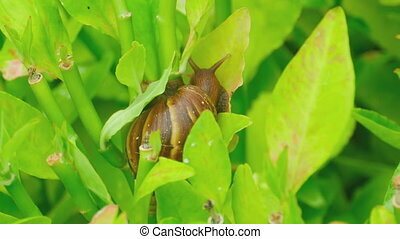 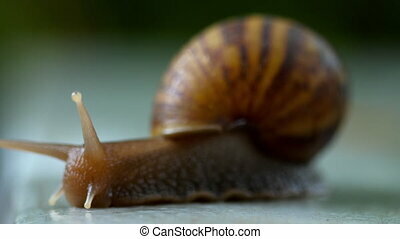 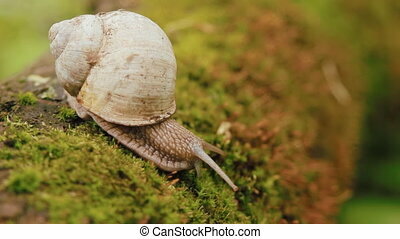 Garden snail is a herbivore animal and has a wide range of host plants. 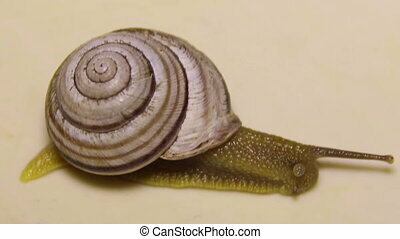 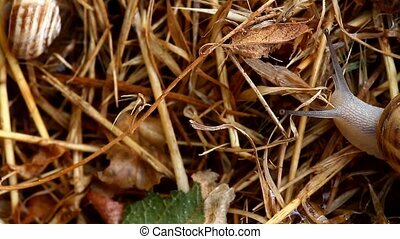 The species is known as an agricultural and garden pest, and also edible delicacy, and occasionally a household pet. 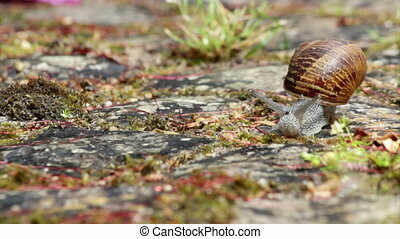 Active garden snail crawling (Species: Helix aspersa or Cornu aspersum). 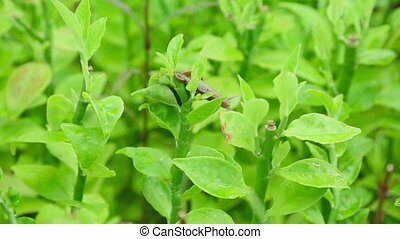 Is a herbivore animal and has a wide range of host plants. known as agricultural and garden pest and also edible delicacy.